By Mike October 5, 2015 October 5, 2015 Press Release, Promote Yourself! 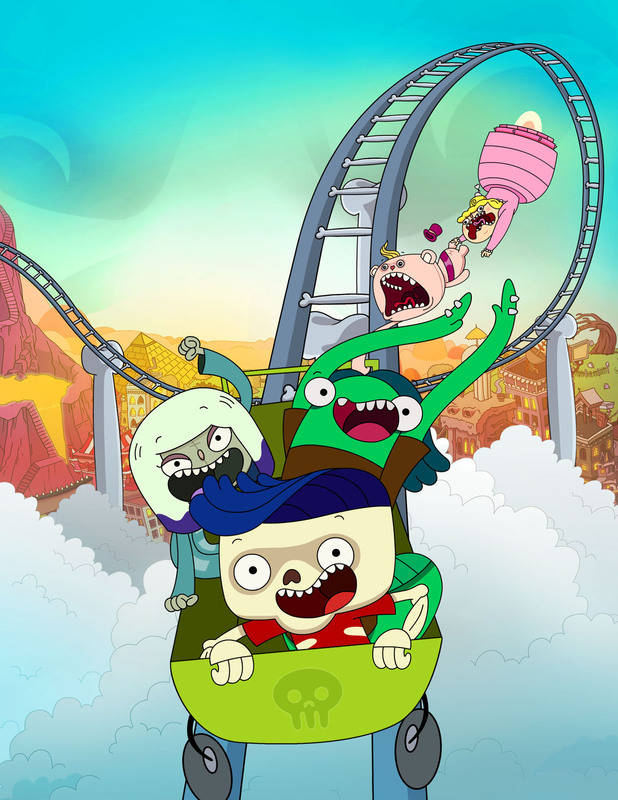 (October 4, 2015 – Toronto, Canada) – Portfolio Entertainment has signed its first set of international sales deals for the highly-anticipated series Freaktown (52 x 11’) with leading kids’ networks – Cartoon Network in Asia Pacific, Turner’s Kids Networks in EMEA, The Walt Disney Company Southeast Asia and ABC Australia. Freaktown is the first series to be wholly created and produced inside Portfolio’s new animation studio. The series was commissioned by TELETOON Canada and will debut in 2016. The series will premiere on Cartoon Network in Japan, Korea, Taiwan, Australia and New Zealand. Turner France has taken the series for Boing in France and in its French-speaking territories in Europe and Africa. It has also been sold to The Walt Disney Company Southeast Asia and ABC Australia. Freaktown, a kids 6-11 animated series, follows the adventures of skeleton Ben Bones and his freaky friends as they protect their town from takeover by Princess Boo Boo the Bouncy of Sweetlandia. Freaktown is the last place where it’s cool to be a ghoul. Mutants and misfits of all sorts are welcome to hang out and just be who they are – freaks. Best friends Ben Bones – a skeleton with soul – and Lenny – amutant mantis – are living “la vida freaky” as they guard against a massive makeover of the cute and cuddly kind, courtesy of Princess Boo Boo, the spoiled brat ruler of Sweetlandia. Try as she might, Boo Boo and her right-hand bear, Lord Cuddles the Fluffy, simply can’t keep the lid on all Freaktown’sfun. You see – no one is going to sugar frost Freaktown on Ben Bones’watch! The series is a concept by Peter Ricq and Philippe Ivanusic who are also the creators of The League of Super Evil. Tagged 2d Animation, 2D Animator, Animation, Animation Director, Animator, Cartoon, Cartoon Network, Portfolio Entertainment.